Below are winners for scholarships sponsored by Jazz Unlimited that will ensure the future of jazz in Milwaukee and where ever they go. $1,000 Douglas M. and Eleanor M. Gmoser award for best reed player - Baritone saxophonist Casimir Riley, 16, Ronald Reagan High School. $1,000 Chuck Hedges award - Pianist Josh Catania, 17, Kettle Moraine School for Arts and Performance. 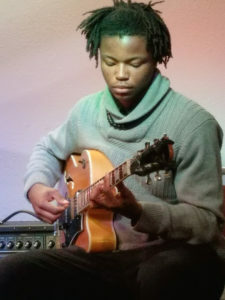 $1,000 Wayne "Zim" Zimmerman award for best showmanship - Guitarist Kwasi Stampley, 16, University School of Milwaukee. 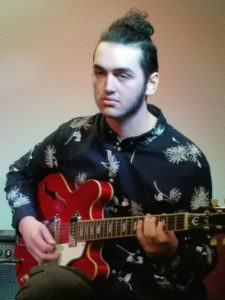 $500 Jazz Unlimited instrumentalist awards to drummer Alex Borchardt, 17, New Berlin West High School, guitarist Lyle Rivera, 16, Pius XI Catholic High School, and tenor saxophonist Jasper Kashou, 17, Cedarburg High School. $500 Floyd Dorsey Vocalist award - Vocalist Olyvia Marinez, 16, Port Washington High School. 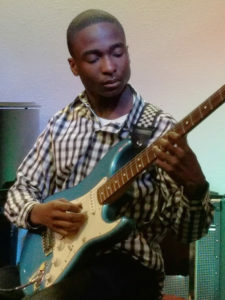 $250 Deirdre Fellner West End Conservatory scholarship awards: Guitarist Antonio Palmer, 14, Milwaukee High School of the Arts and alto saxophonist George Davis, 16, Whitefish Bay High School. $500 Jazz Unlimited awards to drummer Ben Piette, guitarist Dante Turkow and pianist Dan Van Zeeland. $500 Jazz Unlimited awards to pianist Josh Catania, and trumpet player Travis Drow. 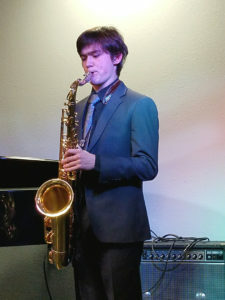 Finally, through the generosity of Deirdre Fellner, the following students were awarded special $250 scholarship awards: Alto saxophonist Gideon Adams and pianist Dan Van Zeeland. Brandon Polzin, 17, alto sax, Waukesha North High School. $1,000.00 Douglas M. and Eleanor M. Gmoser Award. Travis Drow, 17, trumpet, Milwaukee High School of the Arts. $1,000.00 Chuck Hedges Award. Joshua Catania, 14, piano, Waukesha Catholic Memorial High School. $500.00 Jazz Unlimited Scholarship. Isaac Suprenant, 18, bass, New Berlin Eisenhower High School. $500.00 Jazz Unlimited Scholarship. Nathen Kay, 17, trumpet, Oconomowoc High School. $500.00 Jazz Unlimited Scholarship. Norskuski Rivers, 17, Milwaukee High School of the Arts. $500.00 Jazz Unlimited Scholarship Vocalist. Amy Clapp, tenor sax, $1,000 Douglas M. and Eleanor M. Gmoser $1,000 Award. Jordan Rattner, guitar, $1,000 Chuck Hedges $1,000 Award. Travis Drow, trumpet, $500 Scholarship. Gervis Myles, bass, $500 Scholarship. 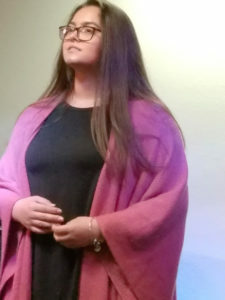 Lily Lalios, vocalist soprano, $500 Scholarship. Lenard Simpson, alto sax, $1,000 Douglas M. and Eleanor M. Gmoser Best Reed Award. Jordan Rattner, guitar, $1,000 Chuck Hedges scholarship for Best Overall Musician Award. Peter Garofalo, piano, $500 Jazz Unlimited scholarship. Amy Clapp, tenor sax, $500 Jazz Unlimited scholarship. Travis Drow, trumpet, $500 Jazz Unlimited scholarship. Grace McDonell, vocals, $500 Jazz Unlimited scholarship. Amy Clapp, 14, alto sax, $1,000 Douglas M. and Eleanor M. Gmoser best reed player. 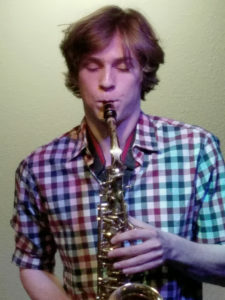 Leonard Simpson, 17, alto sax, $1,000 Chuck Hedges scholarship for best overall musician. Tommy Rorabeck, drums, $500 Jazz Unlimited scholarship. 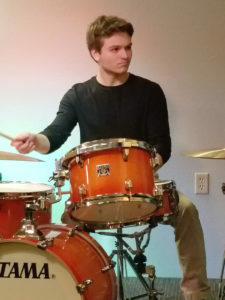 Jake Richter, 17, drums, $500 Jazz Unlimited scholarship. Peter Garofalo, 17, piano, $500 Jazz Unlimited scholarship. Alexander Aldred, 17, trumpet, $500 Jazz Unlimited scholarship. Brandon Polzin, 14, alto sax, $200 Jazz Unlimited scholarship. 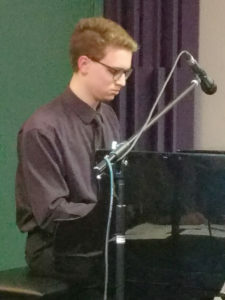 Cameron Johannig, 18, piano, $200 Jazz Unlimited scholarship. 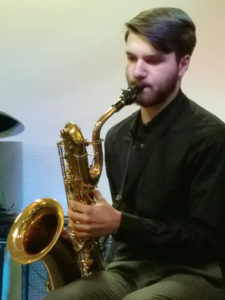 Brian Lenski, Jr., 17, tenor sax, $200 Jazz Unlimited scholarship. Leonard Simpson, saxophone. $1,000 Scholarship. Alexander J. Aldred, trumpet, $500 Scholarship. Peter Garofalo, piano, $500 Scholarship. Melvin Jagodzinski, trumpet, $500 Scholarship. Brian Lenski, Jr., saxophone, $200 Scholarship. Nick Mace, percussion, $200 Scholarship. Jake Richter, percussion, $200 Scholarship.